The notion that truth is the first casualty of war has found expression in the ongoing fog of the current Israel-Hamas conflict -- where truth is obscured or masked by oft-repeated clichés such as "cycle of violence," false moral equivalences, or unconscionable allegations of Israeli "genocide." If we want to prevent further tragedies in this conflict -- let alone frame the basis for its resolution -- then we have to go behind the daily headlines that cloud if not corrupt understanding, probe the real root causes of conflict, and finally travel the road not yet taken to its just resolution. While the deliberate -- and indiscriminate -- bombardment of Israeli civilians, and the threat of abductions and mass killings from the terror tunnels, have been the trigger for this latest war, there is a longer and underlying proximate cause: the Hamas Terrorist War of Attrition against Israel since 2000. Simply put, from 2000 to 2004, Hamas suicide bombers murdered over 1,000 Israelis -- wounding some 3,000 -- in a horrific and sustained terrorist assault that was defeated in part by the Israeli "Operation Defensive Shield" in 2002, and in part by the building of a security barrier, which dramatically reduced penetration by Hamas suicide bombers. In 2005, with the Hamas terrorist onslaught defeated, Israel moved to unilaterally disengage from Gaza. Accordingly, Israel withdrew all its soldiers and citizens, uprooted all its settlements and synagogues, but left behind 3,000 operating greenhouses and related agricultural assets, the whole as the basis for industrial and agricultural growth and development in Gaza. How did Hamas respond? They destroyed the greenhouses, brutalized the Fatah opposition, effectively instituted a theocratic dictatorship in 2007, repressed its own people, and began the launching of more than 14,000 rockets and missiles targeting Israeli population centres. In effect, then, Hamas squandered the opportunity offered by Israel to live in peace, to utilize the industrial and agricultural assets, to engage in state-building; rather, Hamas preferred to divert resources for the building of a terrorist infrastructure that would punish its own people while threatening Israel. In effect, then, this is the third Israel-Hamas war since the 2005 disengagement, with each prior truce or ceasefire only providing a basis and incipient trigger for the next war. In this latest conflagration, Hamas has repeatedly repudiated, yet again, a series of ceasefires arrangements and "humanitarian" pauses -- while launching more than 3,000 rockets and missiles in the last month alone. But while these unceasing terror attacks -- and ongoing threats -- have once again forced Israel to take action in self-defense and to target the terrorist infrastructure in Gaza, this ongoing proximate trigger does not tell the whole story. Rather, it is a symptom, or proxy, for the root cause -- the unwillingness of Hamas to recognize Israel's existence within any boundaries. And more: the public call in the Hamas Charter -- and in its declarations -- for the destruction of Israel and the killing of Jews wherever they may be. Let there be no mistake about it, Hamas is a unique -- and evil -- manifestation of genocidal anti-Semitism. These are not words that I use lightly or easily, but there are no other words to describe the toxic convergence of the advocacy by Hamas of the most horrific of crimes -- namely genocide -- anchored in the most enduring of hatreds -- namely antisemitism -- with state-orchestrated terrorism as the instrumentality to pursue these goals. UN Secretary General Ban Ki-moon said that one must seek the "root cause" of the Israel-Hamas conflict so as to enable us to resolve it. However politically incorrect it may be to say so, this culture of hatred -- this genocidal anti-Semitism -- is the root cause and has fuelled the ongoing Hamas terrorist war of attrition. Accordingly, what is so necessary now is not another ceasefire or humanitarian pause, but a ceasefire that is enduring and comprehensive, that will put an end to the Hamas Terrorist War of Attrition that has targeted Israel's population and engulfed its own, and that will be protective of both Israeli and Palestinian civilians, as President Obama and other leaders have called for. 1. A comprehensive -- and enduring -- ceasefire framework not only to halt but to end hostilities must be put in place. For such a ceasefire to endure, the casus belli that triggered these latest hostilities -- that has underpinned the Hamas War of Attrition -- must be addressed and redressed. Simply put, Hamas must cease and desist from its policy and practice of targeting Israeli civilians and terrorizing Israeli civilian populations. 2. The ceasefire must be accompanied by massive humanitarian and medical relief, the delivery of some of which has thus far been hindered by Hamas itself, as with Hamas' refusal to allow Gazans to avail themselves of an Israeli field hospital. Clearly, after the tragic death and destruction, there must be mandated and comprehensive international humanitarian assistance. 3. Hamas, Islamic Jihad, and other terrorist militias must be disarmed, as called for by EU Foreign Ministers, as a sine qua non for the cessation of hostilities. 4. The Hamas military infrastructure -- and related military and terrorist assets -- rockets, missiles, launchers, mortars, munitions, and the like must be dismantled. 5. There must be a complete closure -- and destruction -- of the Hamas terror tunnels, the standing instrument of terror and incipient mass murder. Indeed, captured Hamas battle plans reveal that Hamas was planning a mass terror attack during the Jewish New Year that would have threatened the lives of thousands. Even during the latest ceasefire, Hamas continued to threaten to deploy these terror tunnels. 6. An end must be put to the Hamas capacity to manufacture rockets and other military assets. Simply put, there must be a supervised monitoring of the importation of building materials -- like cement and steel -- that have been used for the manufacture of weapons and tunnels, rather than the building of hospitals, schools, and mosques for which they were intended. 7. The prohibition of the transfer or smuggling of weapons, like those advanced missiles from Iran, which both Hamas and Iran have boasted about, and with which Iran has threatened to re-supply Hamas in recent days. As senior Iranian official Mohsen Rezaei said this week "Palestinian resistance missiles are the blessing of Iran's transfer of technology." 8. A robust international stabilization and protection force -- with the necessary mandate, mission, and numbers -- should be deployed to ensure that the ceasefire is respected; that Hamas and other terrorist militias are disarmed; that the military terrorist infrastructure is dismantled; that the terror tunnels are closed and destroyed -- the whole to protect against the targeting of Israeli civilians and the use of Palestinian civilians as human shields. Indeed, while Israel has been forced to use weapons to protect civilians, Hamas has been using its captive civilian population to protect its weapons. 9. This international protection force must also be empowered to secure a total interdiction of the transfer, import, or smuggling of weapons into Gaza -- which is what triggered the blockade of Gaza in the first place after Hamas assumed power in 2007. 10. An international framework -- one of the most important initiatives of the road not yet travelled -- will be necessary to secure and maintain the demilitarization of Gaza, while supervising the entry of people and goods into Gaza. 11. The deployment of this international protection force -- and the demilitarization of Gaza -- can provide a basis for the reciprocal opening of border-crossings, the commensurate easing of the blockades, and the development of a Gaza sea port. Indeed, the movement of people, goods, commerce, trade, development, and evolving economic prosperity were precisely what was contemplated -- and was clearly possible -- when Israel withdrew from Gaza in 2005. There was then no occupation, no blockade, no Israeli presence -- only the potential for Gaza to freely develop and help usher in a nascent peace with Israel and self-determination for its people. 12. In particular, the dismantling of Hamas' extensive military and terrorist infrastructure -- which is embedded amongst Gaza's civilian population -- and the demilitarization of Gaza can ultimately lead to a "Marshall Plan" for Gaza with the ultimate goal of securing economic growth, development, and a sustainable peace. 13. With order restored, an international governing authority -- possibly led by the PA, but including European, American, Canadian, and Egyptian representation -- should be the mandated trusteeship authority for Gaza. This can serve as a state-building authority that can be the basis for the emergence of a peaceful, rights-protecting, Rule of Law Gaza that can ultimately travel the road not yet taken to a peaceful and democratic Palestinian State. 14. The direct financing of Hamas which was put to military and terrorist purposes must end. 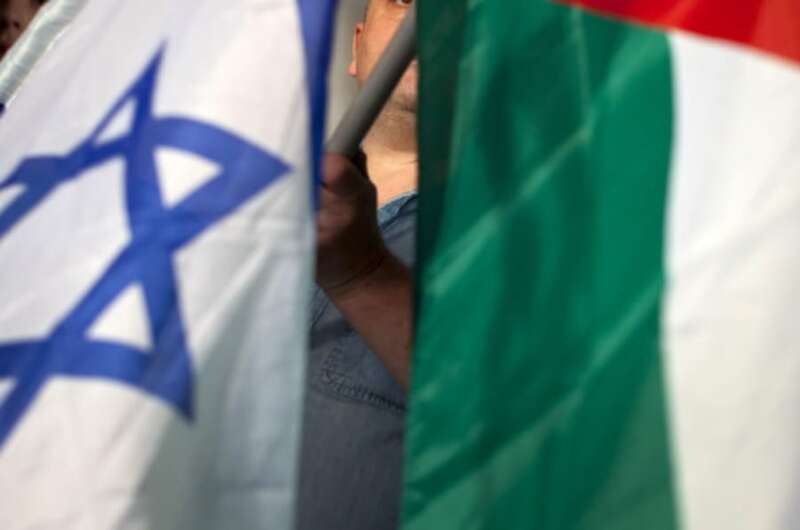 The internationally mandated authority should ensure that banks in China, Turkey, and Qatar do not continue to finance Hamas, and that governments such as Qatar and Iran do not finance Hamas' war crimes. 15. A crucial point oft ignored: Palestinian society in Gaza must be freed from the cynical and oppressive culture of hate and incitement. This not only constitutes a standing threat to Israel, but undermines the development of authentic Palestinian self-determination, as in the cruel deployment of Palestinian child labour in the terror tunnels. No peaceful solution will be possible if massive resources continue to be poured into state-controlled media, mosques, refugee camps, training camps, and educational systems that serve the sole purpose of demonizing Israel and the Jewish people, and inciting to war against them. Indeed, Hamas' militant rejectionism of Israel's right to exist -- its public call for Israel's destruction and the killing of Jews wherever they may be -- have threatened the safety and security not only of Israelis but of Palestinians too. Regrettably, the Gazan people's desire -- and right -- to live in peace and security cannot be realized so long as Hamas continues to hold its own people hostage, and to pursue a strategy of terror and incitement. Indeed, this war in Gaza is not only one of self-defense for the Israeli people, but should lead to the securing of the legitimate aspirations of the Palestinian people, who deserve better than to be held hostage by a terrorist regime. These initiatives, undertakings, and objectives are the road not yet taken. Admittedly, all this may be difficult to secure. But the time has come -- indeed it is long past time -- to realize that if we want to protect the lives of both Israelis and Palestinians, these initiatives and undertakings must become the road we travel now. Irwin Cotler is a Member of the Canadian Parliament and a former Minister of Justice and Attorney General of Canada. He has written extensively on the pursuit of peace in the Middle-East.